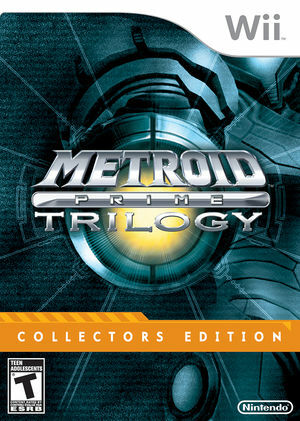 Metroid Prime: Trilogy is a three-game collection for the Wii console that bundles all three landmark Metroid Prime games onto one disc and revamps the first two installments with intuitive Wii Remote controls, wide-screen presentation and other enhancements. 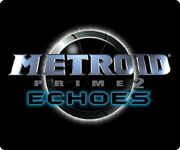 Each game maintains its original storyline and settings, but now Metroid Prime and Metroid Prime 2: Echoes let players use their Wii Remote to aim with precision as heroine Samus Aran. 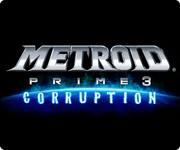 Based on the breakthrough control system that debuted in Metroid Prime 3: Corruption, these new Wii controls bring an entirely new level of immersion and freedom to these milestone games. Players can access the game they want from a unified main menu that ties together all three adventures. Through a new unlockables system, players can gain access to in-game rewards such as music and artwork by accomplishing objectives across all three games. 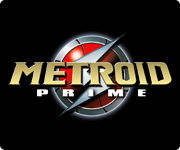 This page should be used for specific issues with the Metroid Prime: Trilogy launcher. For individual game information, please see the following pages. The graph below charts the compatibility with Metroid Prime: Trilogy since Dolphin's 2.0 release, listing revisions only where a compatibility change occurred. This page was last edited on 16 January 2018, at 03:27.